Set a gorgeous scene with a South Room Wedding. Ornate ceilings, original wood floors, chandeliers, fireplaces, Palladian style windows, and rounded Alcove area retain the ambiance of the original mansion. This room can accommodate up to 130 guests for a ceremony only, 80 people seated for a reception style dinner, or can be combined for a lovely wedding for up to 60. The Foyer boasts the original stained-glass skylight, which adorns the ceiling over the terrazzo staircase and second floor landing, providing a warm welcome into the Mansion. The black & white checkerboard marble floor and high ceilings with chandeliers create an elegant, timeless setting. When used in conjunction with the Dining Room and South Room, the area is suitable for a gorgeous ceremony and reception for up to 100 guests. Celebrate your BIG day in our 2,800 square foot open concept auditorium. 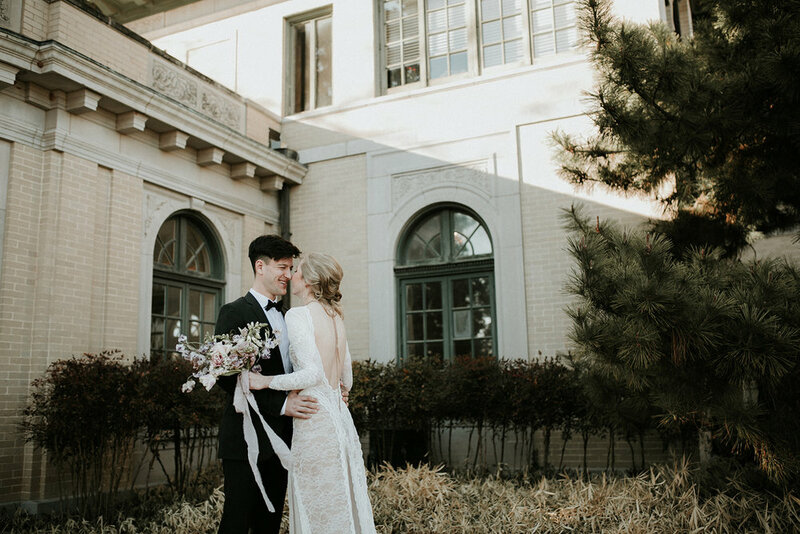 In addition to the accommodations of our Historic Mansion, the auditorium welcomes approximately 200 guests at tables for a reception with space remaining for a band or DJ and dancing. Guest seating can extend into the Lobby to create additional seating for up to 50. We have a myriad of layouts and setups that will ensure your day is perfect in every way!